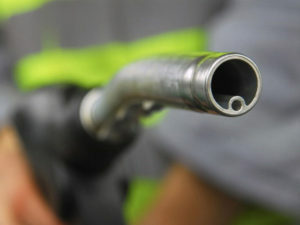 The figures from RAC Fuel Watch show that unleaded shot up from 123.43p to 129.41p, while the average price of a litre of diesel was up 6.12p, from 126.27p to 132.39p – marking the second worst rise since the start of 2000 after the 8.43p increase seen in May 2008 (120.83p to 129.26p). The RAC Fuel Watch data also continues to show that average prices of both petrol and diesel have gone up every single day since 22 April, adding 8p a litre in the process – the longest sustained price increase since March 2015. The forecourt increases have been driven by a jump in the price of oil, coupled with a weakening of the pound against the dollar. Oil broke through the $80 a barrel mark twice in May – a three-and-a-half year high – and, overall, was up 3% over the course of the month (from $74.31 to $76.39). Meanwhile a 2% drop in the value of the pound against the dollar ($1.35 to $1.33) also increased the wholesale price for retailers as fuel, like oil, is traded in dollars. Looking ahead, RAC fuel spokesman Simon Williams said the slight drop in the oil price (down to $76 a barrel) in the last week of May is a sign that the constant rise in forecourt prices may have stopped for the time being. He also pointed to conjecture that OPEC may agree at its meeting on 22 June in Vienna to change tack on restricting oil supply, which could alleviate some of the pressures on pump prices. Last month saw mileage and expenses management specialist TMC warn that fleets were being hit by a fuel cost ‘double whammy’ due to ongoing migration away from diesels – which are typically more fuel efficient – at a time of fast-rising fuel prices.